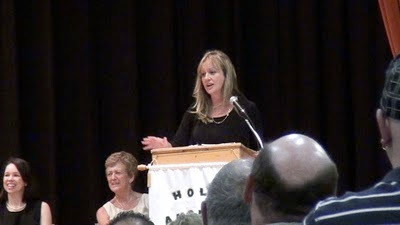 g"> Was guest speaker at my old all girls high school yesterday, Holy Angels in Sydney, Nova Scotia, for Grad. It was so nostalgic being there after all this time. I cried! 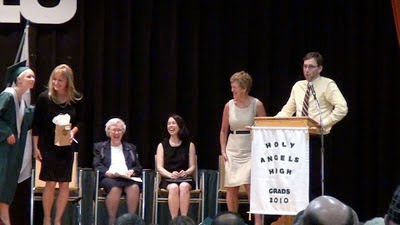 The grads were gorgeous. Principal Theresa MacKenzie is quite a mover and shaker, and I had a lot of fun with former principal, Sr. Agnes Cordeau, who showed me around the convent. AHH, wonderful trip down memory lane....Luke came with me, and filmed it all, what a sweetie...one of my fav days of all time! !